I regret to have to inform you readers that this blog will close, and that this is my final post. The reason is that I will move to Sweden at the turn of the month for personal reasons. (No, nobody’s got sick, I haven’t lost my job, or anything like that). 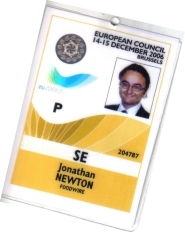 But while I will continue to cover EU related issues for Foodwire, I will not be present in the capital of Europe on any regular basis from July 2008 on. Thank you to all of you who have read and even commented; it’s been a pleasant experience seeing how much response there has been after all – which surprised me, because the blogosphere is one crammed place in the virtual universe, and this blog started mainly as an experiment. I will leave this blog up for some time, for any of you who would like some further reference reading, but eventually it will probably either be wiped or completely revamped. We will see what happens. Once again, thank you all for your interest in my thoughts here. Hope we will see each other again soon. The EU Summit that starts today will probably be the beginning of a general wind down period for the EU as a whole, a bit differently than the EU leaders had expected. Everyone had already started talking about this period after the August break – when all EU work grinds to a halt – as the general run-up to the year 2009, when both a new EU Parliament and a new EU Commission is to be selected. Logically, neither body would have any interest in starting any new huge undertakings as they would not know whether or not they would be able to finish them. Some Commissioners will likely re-appear. Chairman José Manuel Barroso, for example, makes little secret of his wish to be re-appointed, and seems to have enough political support from e.g. Germany to see a second term in office. And Ms Androulla Vasiliou is so new on the job that she has little time to mess things up, at least, enough to be removed. Others will certainly not. Vice president Margot Wallström, for instance, has made it clear that she is not seeking re-election. That is to all intents and purposes a preventive statement in order to save her the embarrassment of being ousted, not because she is doing a poor job – on the contrary, she is generally held in high esteem – but because she is a Social Democrat. So was Sweden’s only other Commissioner to date, Anita Gradin. But the current Swedish government is not. They will be little inclined, to say the least, to continue nominating representatives of their main political arch rivals, especially since they won the last election with promises including a reform of the nomination process to public top jobs, where Social Democrats – who have held governmental power for all but eleven of the last 76 years – for some reason have had a notorious habit of being appointed. I’d be rather surprised if they didn’t put Carl Bildt in there instead, but I’ve been wrong before. However, apart from that general slowdown, the current Summit will have to throw all plans to address pressing current issues such as galloping food and oil prices out the window, and instead embark on another endless crisis management tour in the wake of Ireland’s no to the Lisbon Treaty. Another deadlock, from which there is no known escape, just before the slowdown time, while interest rates are creeping upwards, economy downwards, and stagflation is looming around the corner. 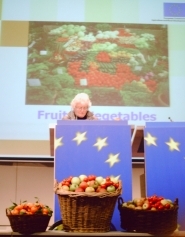 Not to mention what to do with the EU’s ambitious climate targets, which might help delay global warming for a few years (until China’s and India’s emissions have made up for the balance), but will eat into the world’s already scarce food resources and continue to trigger famine, especially in poor countries. And I haven’t even started with the need to do something about the EU’s gigantic Common Agriculture Policy in order to make it help feed us all instead of just making matters worse. This is when Brussels would have needed to take some tough decisions. But, sorry to say, don’t hold your breath.